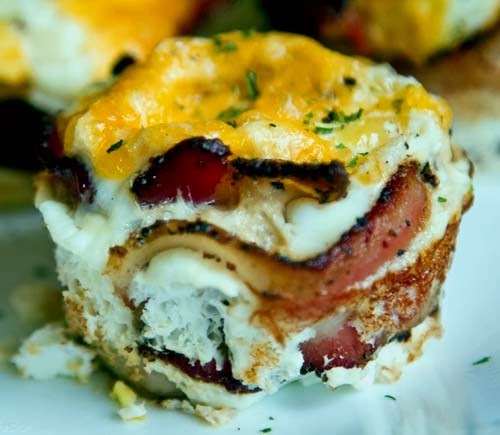 One of the tastiest breakfast to make is a baked egg wrapped in bacon. You'll need a muffin tray to bake in oven. Preheat oven at 400 deg F. Brown bacon (avoid fully cooking). Line each cup of muffin tray with the bacon. Cut up 2 of 6 bacons and place those pieces at the bottom of each cup. Sprinkle cheese and crack an egg into each cup. Sprinkle some more cheese on top, then pop in a 400°F oven for 15 min. Finish with a touch of parsley and black pepper.